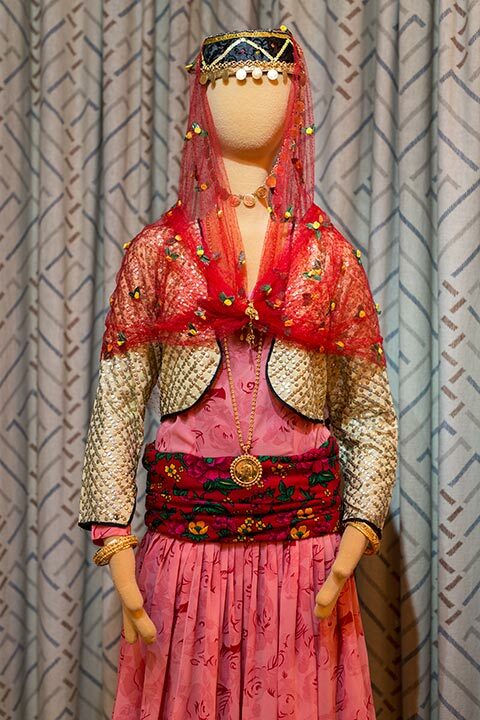 Gulan was delighted to take part in Across Time and Space, the exhibition of regional garments from the Silk Road held at the Ismaili Centre, South Kensington, from the 25th to 29th November 2014 as part of the Nour Festival of Arts organised by the Royal Borough of Kensington and Chelsea.The exhibition offered a glimpse of the vibrancy and colours of this region and the inspiration and influence of traditional dress on contemporary clothes. 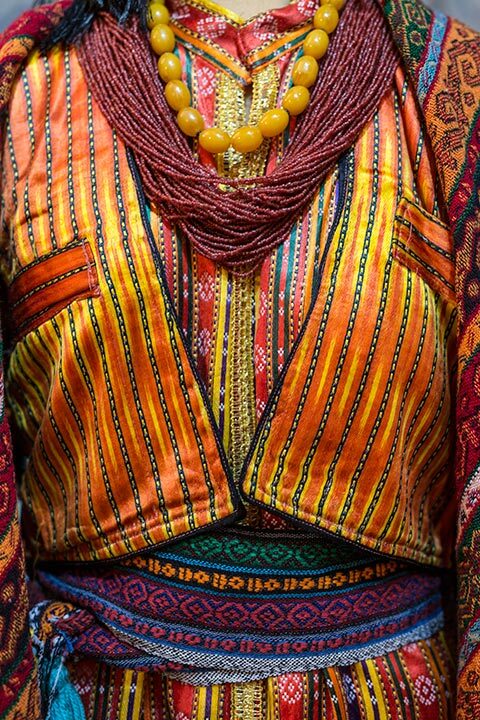 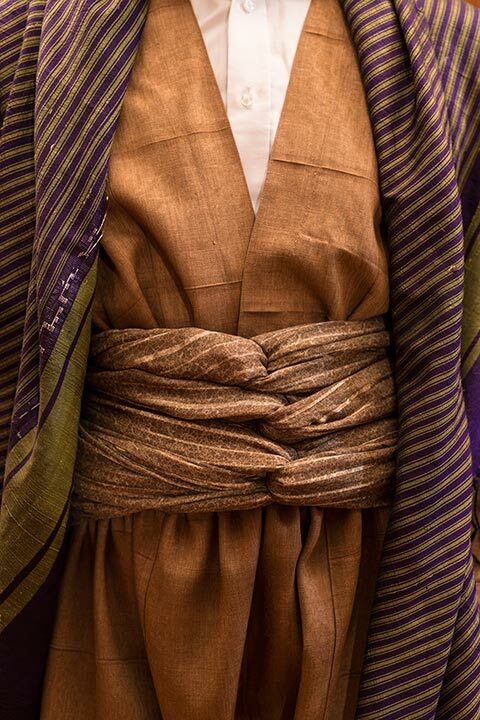 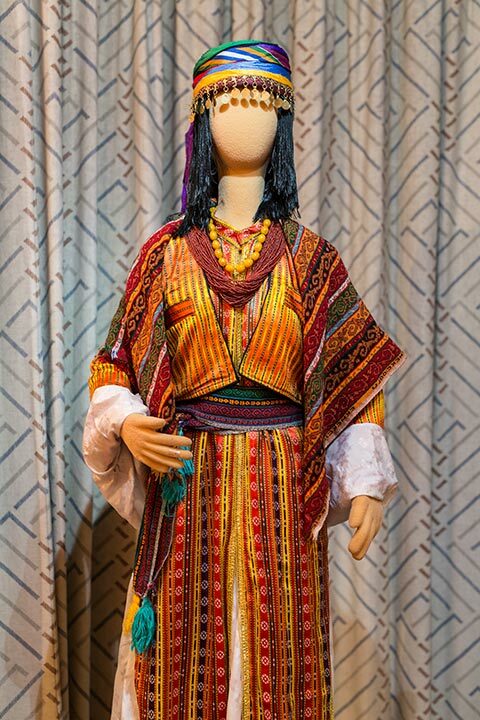 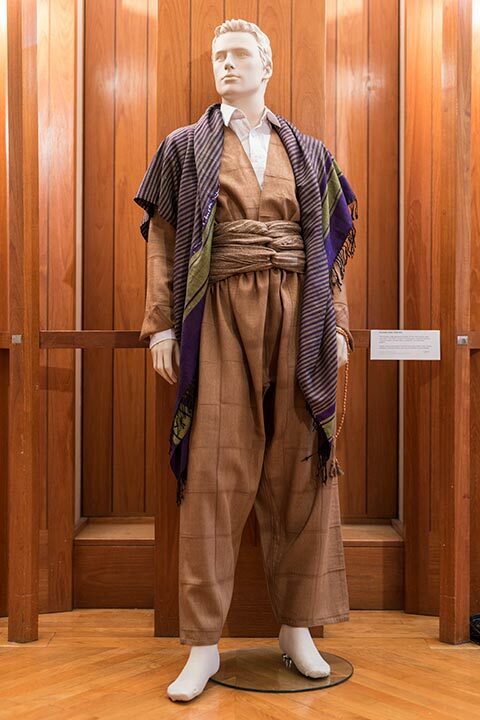 Gulan showed four women’s costumes representing Northern, Western, Southern and Eastern Kurdistan and one male costume, all from the collection of Della Murad. 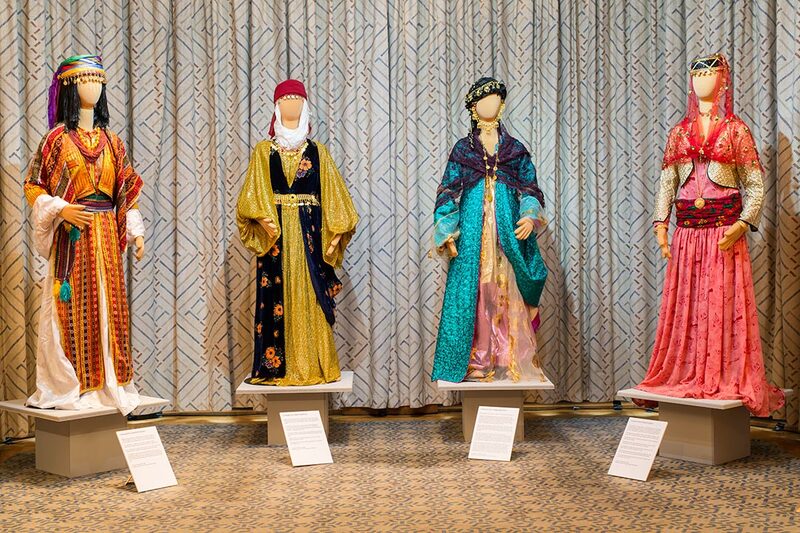 The exhibition also included displays of costumes from Saudi Arabia, the Yemen, Kazakstan Uzbekistan, Egypt and North Africa. 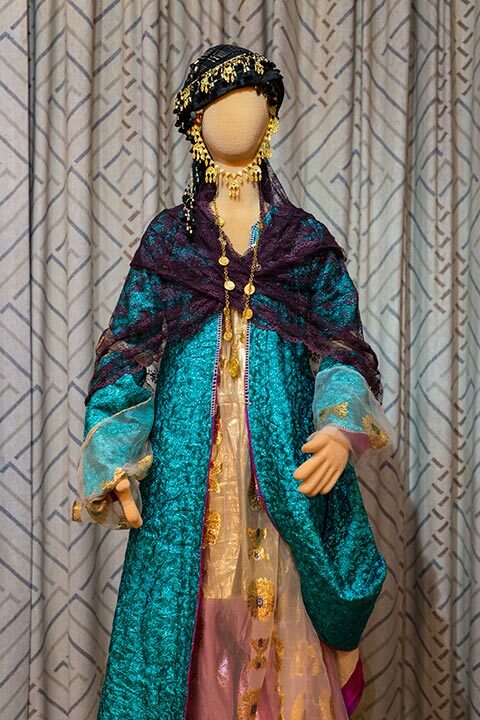 Supporting the exhibition the Royal Geographical Society presented a display of pre-photographic images and maps of the Silk Road, and original artefacts. 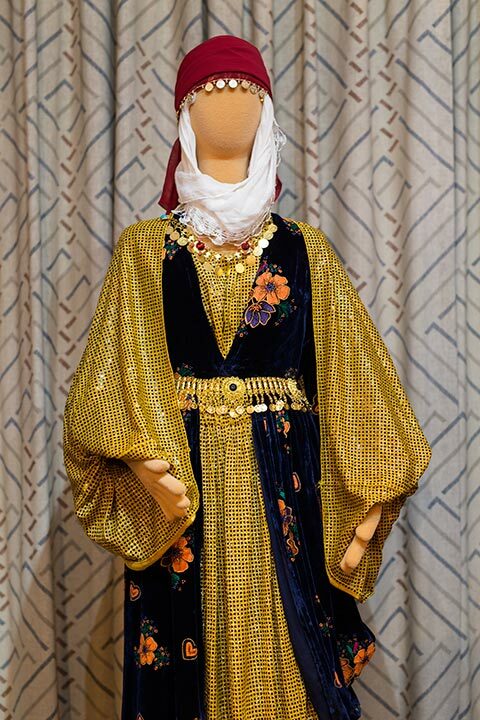 The exhibition attracted 500+ visitors.